Brand: Kimmie Candy Company KI-44603 Units: 3 oz. tube Uniquely flavored chocolate is taken and tirelessly chiseled into a familiar, fun and captivating shape. It is then coated in the most tasty and interesting colors possible and presto, ChocoRocks are born. From cakes and cookies to shakes and snacking, these little guys will entertain and delight for any occasion. Chocorocks are gluten-free. Uniquely flavored chocolate is taken and tirelessly chiseled into a familiar, fun and captivating shape. 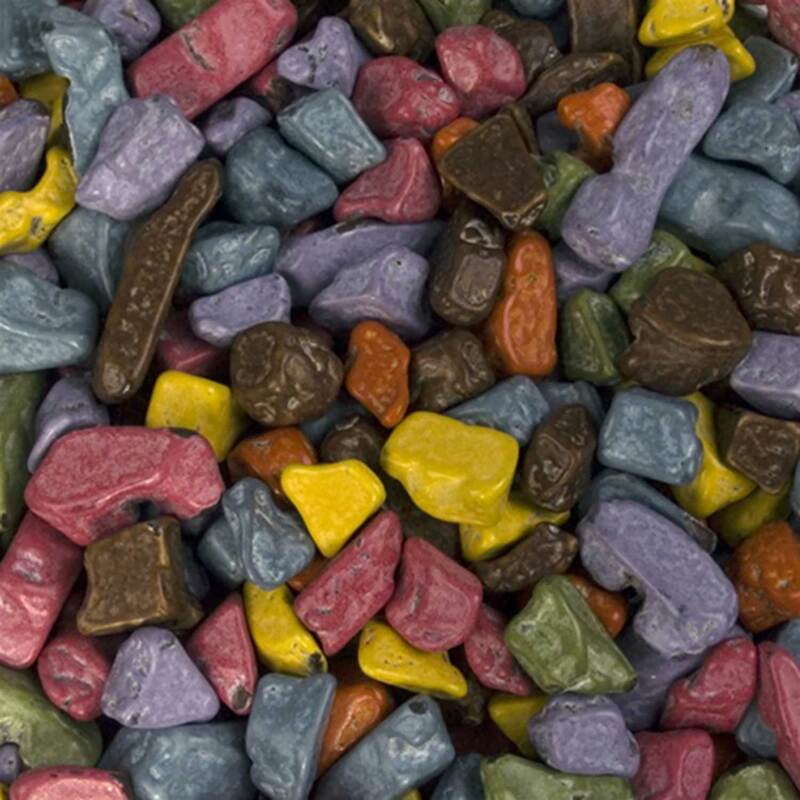 It is then coated in the most tasty and interesting colors possible and presto, ChocoRocks are born. From cakes and cookies to shakes and snacking, these little guys will entertain and delight for any occasion. Chocorocks are gluten-free.